Since I wrote a post about what it means to be master of a lodge, I figured I would follow up with my thoughts on being a past master. I thought the hard part was over when I stepped down and gave the keys to the next master. I never thought it would be a challenge to be on the sidelines with the esteemed past masters who came before me. I thought it would be easy to be among the crowd of revered elders who sat in lodge, stoic and unflinching as the proceedings unfolded. After years of expanding responsibilities and then a year running the show, however, it is hard to simply let go and not be part of everything. Unfortunately, that is how it is designed to be. My lodge had a Past Masters Night program this year and I was honored to be in the East for the evening. Last year, when I was master of the lodge, Past Masters Night was the most fun night of the year for me. It was an opportunity to coordinate with my lodge's elders, sit on the sidelines, and have a night off while watching masters of years past run the show. Some of them I did not know very well, and many I had never seen sit in a chair. It was a delight to get to know these brothers better. The ritual is rarely great on Past Masters Night, but that is not the point. 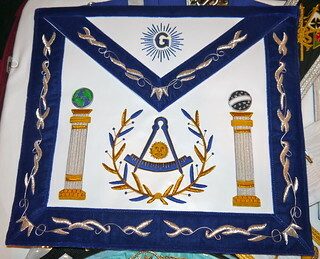 It is a celebration of the lodge's history, not an exemplification of ritual. Everyone has a good time. This year, our Past Masters Night program featured a brother who had served as Master in 1965 and then as Grand Master in 1974. He spoke on the importance of remaining connected to our Masonic heritage. He was not referring to the continued deification of George Washington that you see in so many areas, but connecting with your own lodge's history. I have thought that before as well and started thinking about it last year when I sat on the sidelines and gave the gavel to a past master. 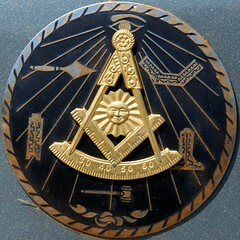 These men, all of whom are very accomplished Masons, had the same experiences that I did, in that they went through the degrees and had an eastward progression until their years as Master. They sat in the same chairs I did and walked the same floor I did. It is interesting to think that, in the 90 years of my lodge's history, each master did the same things, had the same joys, and labored for the same causes that I did. That gives a real sense of continuity – being tied with the past, as well as the future. What my good brother was referring to is not forgetting whence you came. Our families' lineage is important to know because the past influences the future, and sometimes dictates it to some extent. The patterns in our families, whether good or bad, continue through the generations, and seeing those patterns enables us to consciously continue or abandon various elements of them. Knowing our Masonic lineage serves the same purpose. 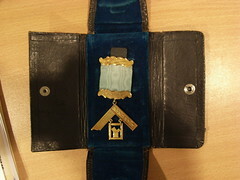 Who are our forebears in this lodge? What did they do during their years as master? What patterns do we want to change? Which ones are important to keep? What are we doing now that was started by someone else? Why do we do it? I cannot stress enough the importance of reaching back to your lodge's past. One of the most important parts of this type of program is letting your older brothers know that they are still in your thoughts, and that you have not forgotten them, despite the years that have come between you. Even if they cannot attend the program, they will be grateful for your call and know you are thinking of them. To me, that is the best part of Freemasonry – the personal connections and bonds that get made. That is the glue of our fraternity.